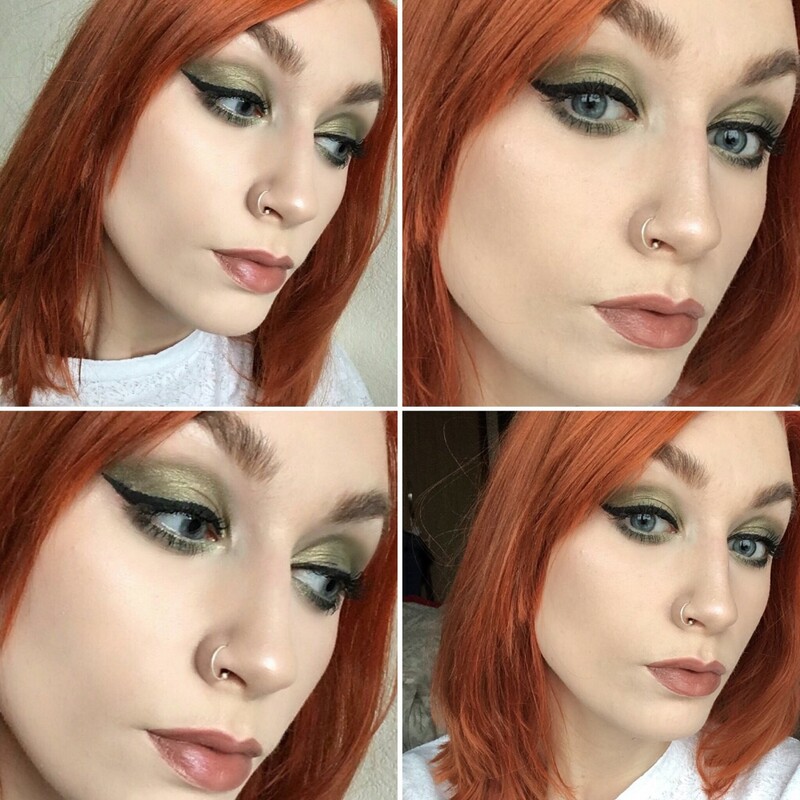 Today I, very unintentionally, created a ‘poison ivy’ makeup look (largely due to my fresh, vibrant ginger hair). As always, winged liner (Rimmel Exaggerate) was a staple element to this look, complimented by a combination of a yellow-green pigment from my No7 Smoky Jewels Compact and Mac Humid Frost. Rather than completely replicating the poison ivy look with deep red lips, I chose to coat the lips in my favourite Rimmel Apocalips shade. All teamed with… plenty of highlight, in all of the flattering places. Otherwise, this 7am photograph would have looked much more dreary considering the size of my eyebags pre-makeup this morning! Thanks for posting. Your eye shadow looks really good. Love the colours too.